The National Cable Telecommunications Cooperative (NCTC) has reached an agreement with Harmonic to offer Harmonic's CableOS virtualized cable access program to NCTC members. CableOS is designed to give small to medium sized operators a more affordable pathway to offering DOCSIS 3.1 on their networks. CLICK HERE for an article about the new agreement at TVTechnology.com. 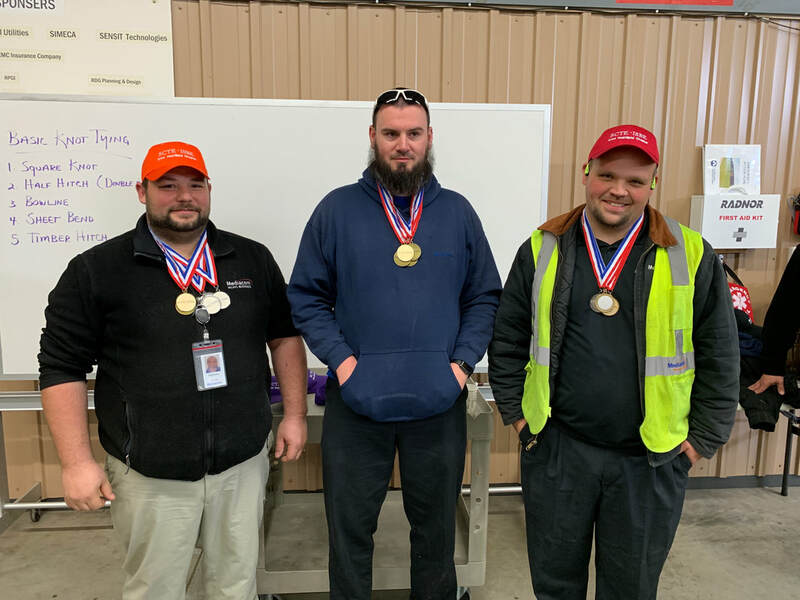 Matt Watrous of Mediacom was this year's overall winner of the Iowa Heartland SCTE Cable-Tec Games, held February 27, 2019 in Ankeny. Taking the silver medal in second place overall was Luke Brown of Mediacom. Phil Metz of Mediacom came in third overall. A total of 17 participants joined the Games this year. The Chapter would like to extend a big THANK YOU to everyone who participated, and to all of the games instructors/judges for their assistance! 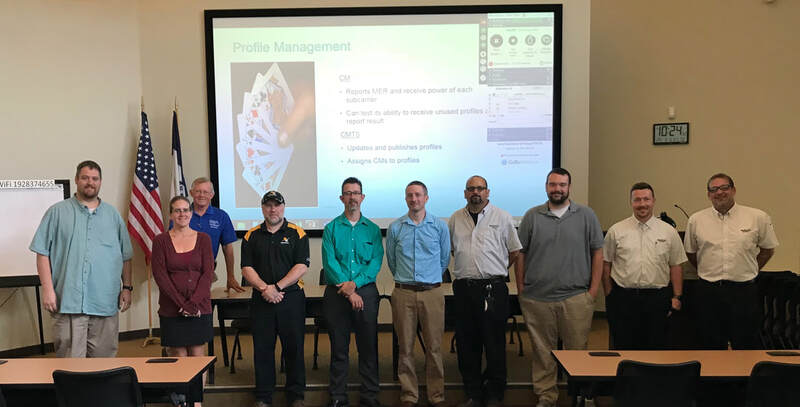 Our best attended training session of 2018 is making a return engagement in April 2019! Fiber 1-2-3 will begin with an industry overview, including industry trends and standards and a look at where the fiber market is going. Next, Steve and Tim will discuss fiber splicing best practices. This will include a live demo and hands-on time with fiber splicers. To make Fiber 1-2-3 accessible for even more technicians, the Chapter is holding the training on April 9th in Carroll, Iowa at the Carrollton Inn. The April 10th sessions will be at the IAMU facility in Ankeny. CLICK HERE to visit our registration page and sign up. If you company has a direct billing agreement with the Chapter you can sign up by clicking on your company's logo. If not, click the SCTE-ISBE logo at the bottom and register at the National SCTE website (payment required). At it's annual planning meeting on January 10, 2019 the Iowa Heartland Board of Directors elected officers to serve for the calendar year 2019. David Schilling (Cedar Falls Utilities) was elected Board President for a second one-year term. David Fyffe (ImOn Communications) will also serve his second one-year term as Vice President. Josh Robinson (USA Communications) was named Board Treasurer, continuing in the role he assumed in 2018. And Curtis Dean (SmartSource Consulting) will serve a final year as Secretary before he is term limited. Send us your training ideas! A reminder that the Iowa Heartland Board will be meeting on Thursday, January 10, 2019 to plan the schedule of Chapter trainings for 2019. 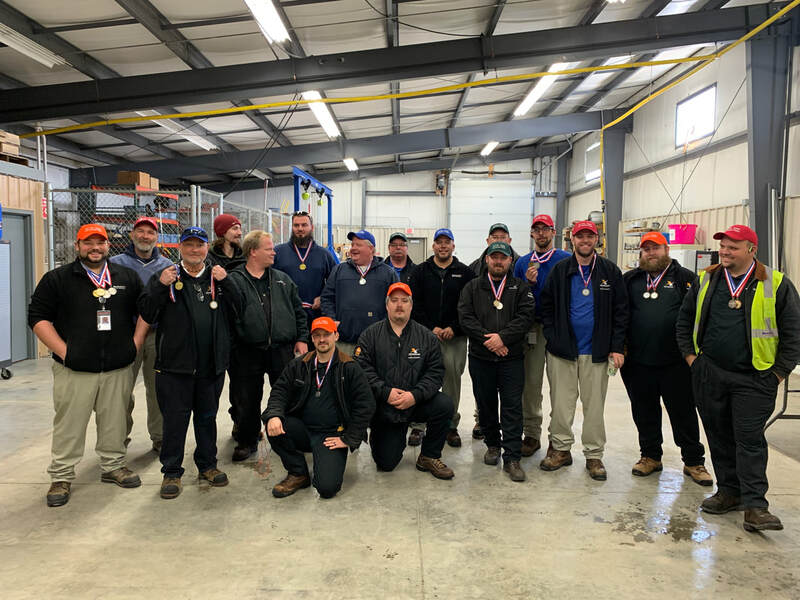 We'd like to keep building on the momentum from a successful 2018 by providing the kinds of training that benefit Iowa's hard-working telecommunications workers. If you have an idea for a training topic, email Curtis Dean, Chapter Secretary, at curtiswdean@gmail.com. 2019 Trainings - Your Ideas Needed! 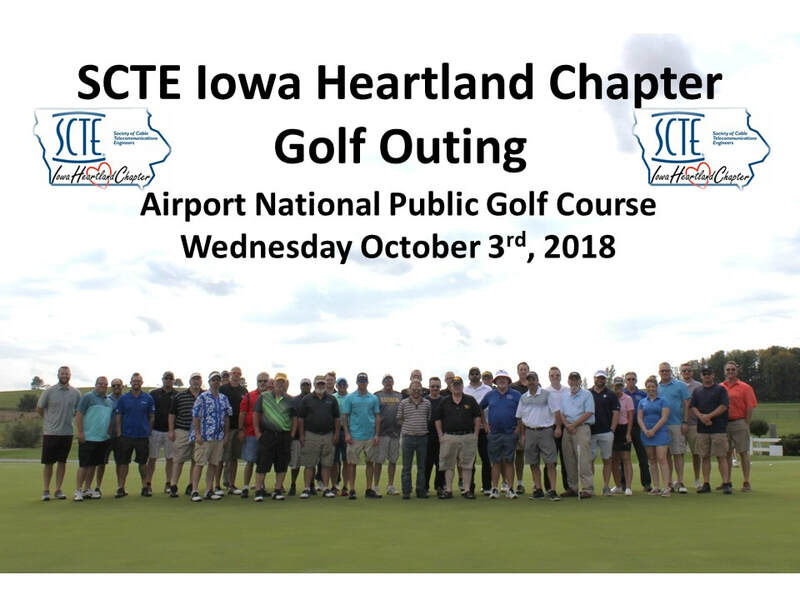 The Iowa Heartland SCTE Board will be meeting in January with to goal of establishing our local training and events for 2019. And we'd love to hear your ideas about what types of training opportunities would most benefit you in your telecommunications career! 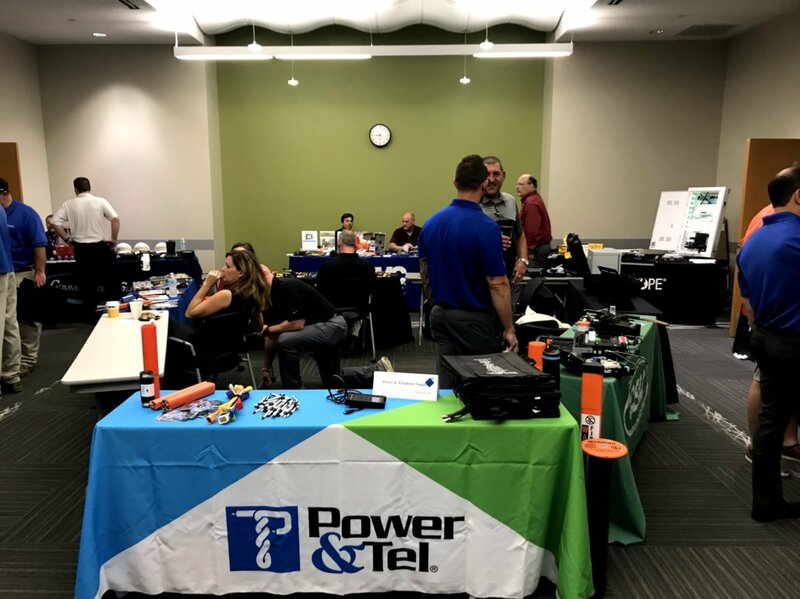 In the past two years, we've provided low-cost training sessions on a number of topics, including fiber optics, DOCSIS, home networking, network powering, and many others. Is there a topic that you'd like us to address? If so, please send an email to Chapter secretary Curtis Dean at curtiswdean@gmail.com. We'll share it with the Board and hopefully it can be included in our 2019 training opportunities! Thanks to everyone who participated in the 2018 Golf Outing and Vendor Day on October 3, 2018!